These are the Terms & Conditions for booking a Professional DJ and/or a Photo Booth. 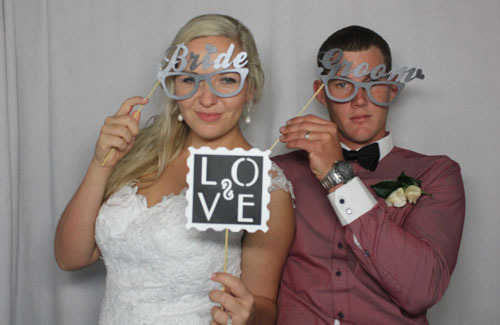 Sunshine Coast DJ Hire & Photo Booth: Sunshine Coast DJ Hire, registered business and any employees/staff. Client: The person, organization, company or other body which is hiring the goods as specified on the Booking Form. Event date: The time and date of the event, confirmed by Sunshine Coast DJ hire & Photo Booth and noted on the Booking Form. Booking Form: The form completed by, or on behalf of, the client and Sunshine Coast DJ hire specifying details of the booking. Day: A calendar day, unless specified otherwise. 2.1. A booking is not confirmed until the client completes the online Booking Form, pays any costs as outlined under ‘Payments’ in these terms and conditions, and receives confirmation of the booking from Sunshine Coast DJ hire & Photo Booth. 2.2 By paying the deposit is an acknowledgement that you have read, understand & accept these terms & conditions. 2.3 Deposits not recieved after 7 days of booking made can have your booking cancelled at our discretion. 3.1. A non-refundable deposit of $200 of the booking cost is payable upon booking. The booking is not confirmed until the deposit is received by Sunshine Coast DJ Hire & Photo Booth. 3.4. If the client requests use of Sunshine Coast DJ Hire & Photo Booth services in excess of the time noted on the Booking Agreement, this will be billed at $100 for photo booth & $120 per hour for DJ. Each additional hour payable upfront in cash only at the time of agreement to the extension of time. Agreement must be in agreeing by all parties including us & the venue. We are not required to Must stay beyond the origional booking time on the booking form but will take each occasion on a one on one basis. We will normally decline the offer to stay longer if your event is getting out of hand or guests are getting too intoxicated. 4.1. The client shall ensure a safe and appropriate environment is provided for Sunshine Coast DJ Hire & Photo Booth to operate its equipment. A space of 4m x 2m or more for Photo Booth (minimum acceptable 3.8m * 1.8m) & also 4m & 2m (minimum acceptable (3m * 2m) for DJ set up. Access to 240v power within 10m of Sunshine Coast DJ Hire & Photo Booth equipment. All doorways and access paths are at least 80cm wide. If an outdoor event, a full undercover area is required protecting our equipment from all sorts of weather. 4.3. A survey of the event location may be required if Sunshine Coast DJ Hire & Photo Booth is not satisfied that a suitable location will be provided. This survey may incur an additional fee of $50. 4.4. The client is responsible for paying any charges or fines imposed by the venue, or required to access the venue or excess charges getting to the venue. These charges may include, but are not limited to, parking, electricity, ferry fees, tolls. 4.5 We arrive approx. 2 hours before your nominated start time (for free). If you require us to set up any more than the 2 hours before your nominated start time then you will need to pay us at the full rate for that time. Example you book us for a start time of 6pm, we would normally arrive at 4pm (approx). If you need us set up by 2pm for what ever reason then you will need to pay for the 2 hours extra staff time of standing around as we do not travel twice to events. 5.2. All cancellations will result in the client forfeiting the deposit outside of 14 days of the event. 5.3. Cancellations made within 14 days of the event date will result in the client forfeiting all payments made to Sunshine Coast DJ Hire & Photo Booth & also the client still owing us for the balance of the full amount & all financial recovery costs. (no exceptions) This is due to simply as your booking was secure we are unable to secure another booking within the 14 days which creates a financial loss for our business caused by your decision to cancel regardless of the reason or excuse given. 5.4. Sunshine Coast DJ Hire & Photo Booth can cancel any booking at any time if the client becomes unreasonable to deal with or fails to co operate. If Sunshine Coast DJ Hire & Photo Booth decides to cancel a booking, all payments made will be refunded to the Client. 6.1. In order to prevent damage to equipment, Sunshine Coast DJ Hire & Photo Booth reserves the right to deny service to any person. 6.2. If circumstances arise where a threat or implied threat of harm, damage or violence to Sunshine Coast DJ Hire & Photo Booth’s staff or equipment, Sunshine Coast DJ Hire & Photo Booth reserves the right to cease providing services immediately. If the client is able to resolve the threatening situation within 20 minutes, Sunshine Coast DJ Hire & Photo Booth will resume services. If the situation is unable to be resolved, Sunshine Coast DJ Hire & Photo Booth will not resume providing service and the client will receive no refund of booking cost. Our security & safety at your event is fully your responsibility at ALL times. 6.3. Any damage to Sunshine Coast DJ Hire & Photo Booth’s equipment during the client’s event caused by the client, client’s guests or any other person in attendance at the event whether invited or not, will result in the cost to repair/replace the equipment. The client will also be responsible for all financial recovery costs if repair/replacement costs are not paid. 6.4 The Client is fully responsible for our security & safety while attending your event. This also includes during set up & more importantly pack down at the end of the night amongst any drunk & intoxicated guests & covers our staff, equipment & vehicle until we leave the actual venue premisis. 7.1. The client gives permission for all photos taken during the event to be used on Sunshine Coast DJ Hire & Photo Booth’s website, face book page and other promotional material. We will remove images if requested in writing & also comply with not displaying any images upfront if notified in writing only beforehand. 8.1. Sunshine Coast DJ Hire & Photo Booth will not be held responsible for any circumstances outside their control. This includes, but is not limited to, fire, riot, civil commotion, accidents, acts of nature and equipment failure. If such circumstances arise, all reasonable efforts will be made by Sunshine Coast DJ Hire & Photo Booth’s to provide service or find a suitable replacement service. If this is not be possible, the client will receive a refund of partial or all payments received by Sunshine Coast DJ Hire & Photo Booth’s for the booking at our discretion depending on the circumstances. 8.2. The client agrees that in all circumstances, Sunshine Coast DJ Hire & Photo Booth’s liability is limited to an amount equal to the booking cost and not be liable for indirect or consequential damages. 9.1 Attendants/staff are to be provided with a supplier meal at ALL evening bookings regardless of time & all day time bookings of 4 hours or more to the same standard as the guests of the function. Please see FAQ for more information.